At ALLENDALE CHILDREN'S CENTER, we are proud to offer weekly special classes and extra-curricular activities in addition to our regular curriculum. More classes will be added in the future. As part of our curriculum, we believe children need to practice their gross motor and coordination skills; therefore, we offer a special music & movement class for all our students every Thursday. 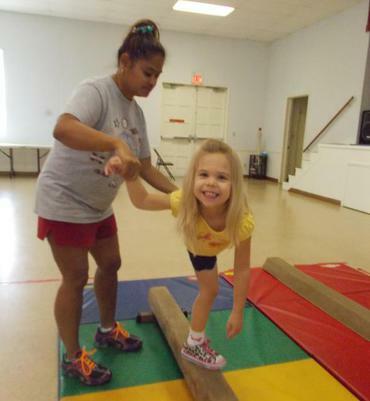 This program, specifically designed for preschoolers, teaches the basic foundations of gymnastics: strength, balance, listening skills and self-confidence all while having fun. Classes are held Friday mornings beginning at 8:30 am for a monthly fee. As a Christian based Center, we give our children opportunities to learn and grow in their faith; therefore, we offer Wednesday morning Chapel for all of our students. 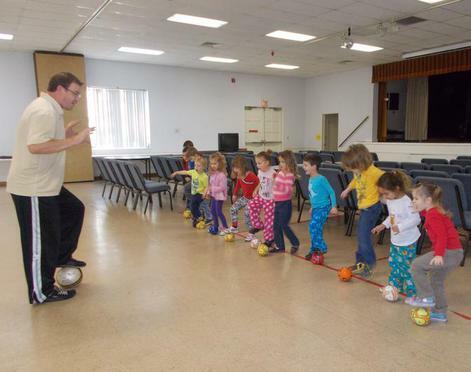 "Storytime Soccer is a skill, fitness, and motor development program centered around the art of soccer for 2-5 year olds." Classes are held Monday mornings beginning at 8:30 am for a monthly fee.